Knowledge-for-development is under-theorised and under-researched within development studies, but as a set of policy objectives it is thriving within development practice. Donors and other agencies are striving to improve the flow of information within and between decision-makers and so-called ‘poor and marginalized groups’ in order to promote economic and social development, including the empowerment of women. Gender, Power and Knowledge for Development questions the assumptions and practice of the knowledge-for-development industry. 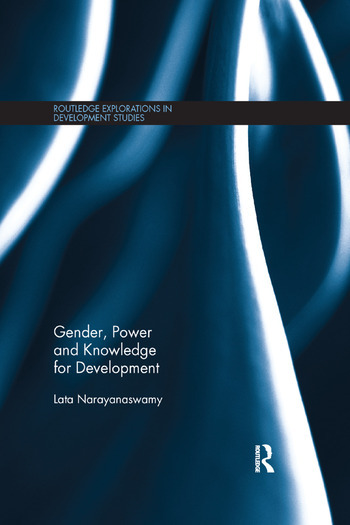 Using a qualitative, multi-site ethnographical study of a Northern-based gender information service and its ‘beneficiaries’ in India, the book queries the utility of the knowledge paradigm itself and the underlying assumption that a knowledge deficit exists in the Global South. It questions the value of practices designed to address this presumed deficit that seek to increase information without addressing the specific problems of the knowledge systems being targeted for support. After reviewing the evidence, the book recommends that international organisations, governments and practitioners move away from the belief that information intermediaries can employ progressive correctives to ‘tinker at the edges’ and thus resolve the shortcomings of on-going attempts to use knowledge alone as a driver of development. Gender, Power and Knowledge for Development will be of great interest to researchers, students in development studies, gender studies, and communication studies as well as INGOs, donor agencies and groups engaged in information for development (i4D), ICT for development (ICT4D), Tech4Dev, knowledge mobilization and knowledge-for-development (K4D). Conclusion: reflecting on the study: what have we learned? Lata Narayanaswamy is a Lecturer in International Development in the School of Politics and International Studies (POLIS) at the University of Leeds, UK.